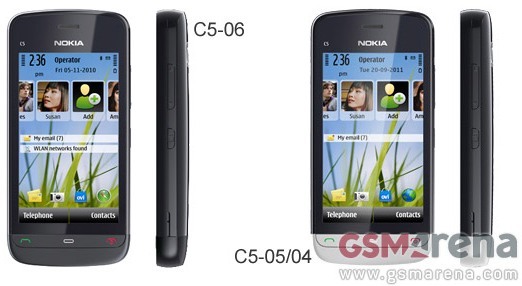 Nokia’s European website has stated the launch of two new handsets C5-05 (C5-04 in Canada only) and C5-06 which seem to be cheaper versions of the C5-03 as Nokia has cut down on their features heavily. The camera is only 2MP compared to that of 5MP in C5-03, No 3G, No WiFi, and only 2G connectivity. All specs are as below. Pricing of the device is still unknown.